Hello. I hope you find this website useful. My interest in photography started when AutoFocus was made possible with a pre-cut length of string and Digital was a reference to a part of the anatomy used to depress the shutter release! I was encouraged by my parents who supplemented my pocket money enabling acquisition of a manual bellows 2¼" x 3¼" camera. I learned to develop and print my early black and white pictures and then progress to enlarging and to colour processing. A career in computing funded investment in a professional SLR System. Whenever possible, I pursued my passion for photography and accepted various commissions when they overlapped with my interests - especially landscapes, nature of all kinds and travel. The recent advances in digital technology have enabled me to develop new techniques and skills, not just with the camera but also in the "PC Darkroom". I find image fine tuning and, where appropriate, enhancement holds just as much fascination as original picture taking. Now retired from corporate business life and living in a rural Hampshire village, I am able to focus on producing images and helping others to share the enjoyment of photography & imaging. Recently, I have been judging local competitions and giving talks and never cease to be impressed but the talent and enthusiasm shown by the folk I meet. Hampshire photographer John Curgenven has recently been awarded the Licentiateship of The Royal Photographic Society of Great Britain. The Royal Photographic Society, founded in 1853, is the most prestigious international photographic Society. It has long been recognised for the promotion and maintenance of high photographic standards around the world and has established itself worldwide, through its programme of touring exhibitions, events and special interest groups. The awarding of Distinctions is fundamental to the Society's promotion of standards of excellence, universally respected by amateur and professional photographers alike to whom RPS membership is open. In order to gain a Distinction a photographer has to submit a portfolio for approval by a highly qualified Panel of Society Fellows or hold one of the acceptable photographic qualifications. John has been successful in satisfying the judges and will shortly be receiving a certificate from the Society's President enabling him to use the letters LRPS after his name. 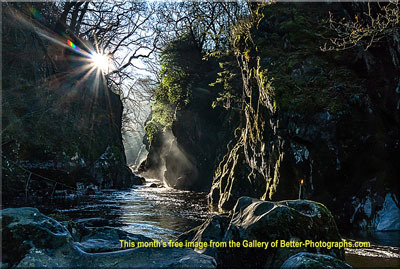 Return to Better-Photographs Home Page.